In celebration of Lisa See's new book, Dreams of Joy (Random), last week Vroman's Bookstore hosted a walking tour of Los Angeles's Chinatown--and lunch--with See. Here: See (front row, in skirt) and fans. 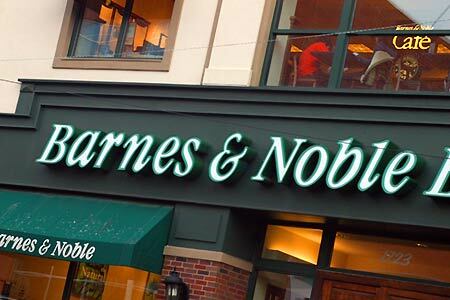 Aletheia Research and Management, Barnes & Noble's third-largest shareholder--after chairman Len Riggio and Ron Burkle's Yucaipa--reported a reduced stake in the company just weeks after Liberty Media Corp. made its offer to buy B&N for $1.02 billion (Shelf Awareness, May 20, 2011). In an SEC filing yesterday, Aletheia said that as of June 1, it had an 8.65% stake (5.2 million shares), down from the 10.59% it held on April 20, Reuters wrote. "The 10 Most Powerful Women Authors" were showcased by Forbes, which said that these particular writers were selected "because of their ability to influence us through their words and ideas. Collectively, these women hold readers captivated with stories of fantastical worlds, suspense and drama, insights into the complexities of minority experiences and cultures, and fresh takes on societal issues and expectations.... not to mention, book sales of up to 800 million copies sold and a wealth of prestigious awards and recognition including Nobel and Pulitzer Prizes. In other words, these 10 women can tell (and sell) a good story." After South Carolina's five-year online sales tax exemption for Amazon took effect yesterday without Governor Nikki Haley's signature, the company announced that its Lexington County fulfillment center had restarted hiring for hundreds of full-time jobs. 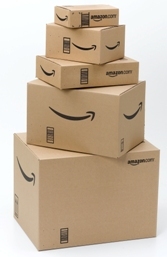 "We're pleased to be moving ahead with plans to open a facility in South Carolina this fall, ultimately creating 2,000 full-time jobs in the state," said Dave Clark, v-p, North American Operations for Amazon. "We appreciate South Carolina's decision to welcome Amazon jobs and investment, and we look forward to a long, productive partnership with the state." The State reported that Governor Haley "doesn't like the break Amazon received--a deal made by her predecessor shortly before leaving office in January--but chose to let it happen despite pleas from the Tea Party wing of the GOP and other retailers to reject it." "What's done is done," Haley said. In a not unrelated note, during this week's shareholder meeting Amazon CEO Jeff Bezos responded in detail to a query ("So, my question is where are the losers?") about the company's willingness to take risks when it comes to innovation. "We know how to open new geographies," he said. "That doesn't mean that these things are guaranteed to work, but we have a lot of expertise and a lot of knowledge. We know how to open new fulfillment centers, whether to open one, where to locate it, how big to make it. All of these things based on our operating history are things that we can analyze quantitatively rather than to have to make intuitive judgments." 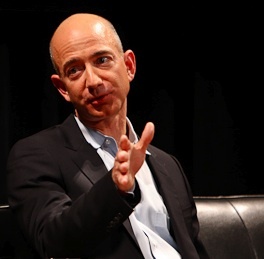 Bezos summed up Amazon's philosophy by stating that "we are willing to be misunderstood for long periods of time." Citigroup analyst Mark Mahaney predicted that a $99 Kindle may be a reality by the Christmas season this year: "We would expect a sub-$100 price level by late 2011. Our belief is that the current price levels are attractive enough to broadly expand the potential Kindle buyer base." PaidContent.org called this the "price point that many believe is key to widespread e-reader adoption by the holidays." Congratulations to Bookshop West Portal in San Francisco, Calif., which celebrates its fifth anniversary this weekend. Friday, Saturday and Sunday all books, cards and gifts are 20% off. An open letter from the store, founded by Neal Sofman, a co-owner of the old A Clean Well-Lighted Place for Books stores, said in part, "Like many merchants on West Portal, we felt the effects of the economic downturn during the first quarter of 2011, but April and May have been better and we are optimistic that, with your continued support, we will remain a vital part of West Portal's unique business district. If you want the intimacy of a neighborhood bookshop where you can talk books face-to-face, and relax in a way that only seems to happen when surrounded by books, then keep us on your regular route. "Where else can you meet celebrated authors like Alexander McCall Smith, Ann Patchett, Calvin Trillin, Cara Black, Lisa See, Alan Furst, Mary Roach, or Simon Winchester within walking distance of your home?" The store continues, it said, to "make our shop more interesting by adding new services and gifts that we hope will catch your fancy. Over the next few months you will find a larger selection of new puzzles, games, toys, sun hats, sunglasses, bags, and other fun things. Our knitting program will continue, and we hope our classes in cartooning and drawing will interest you." 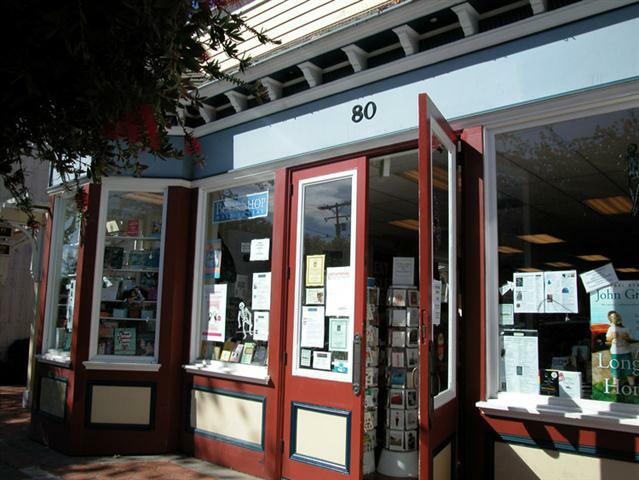 Arches Book Company, Moab, Utah, has finished its merger with its sister bookstore, Back of Beyond Books, which is now home for both booksellers. Arches wrote: "We opened Arches Book Company in October of 2001 and had a great run. The economic downturn, fewer people reading, increased competition (especially online), and the advent of e-readers all played a part in this merge." Today, Friday and Saturday are when 25 Unbridled Books e-books will be for sale on IndieCommerce sites that sell Google eBooks for 25 cents apiece. Unbridled hopes, it says, that people with e-readers will "take this chance to acquaint yourselves with some of our long-time authors" and that readers new to e-books "will take this opportunity to dip a toe into the waters with the help of your knowledgeable local bookstore, and introduce yourself to a stable of authors of whom we are extremely proud." Cool idea of the day: British bookseller Patrick Neale "will be revealing the secrets of his job" during a Guardian live webchat tomorrow. 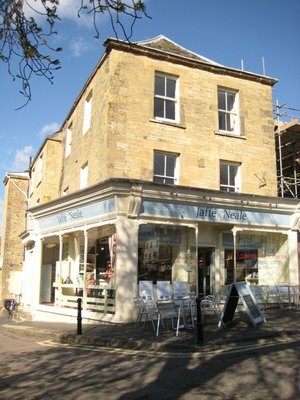 Neale worked for Waterstone's for 15 years before opening Jaffé and Neale Bookshop & Cafe in Chipping Norton a decade ago. The store was named Independent Bookseller of the year in 2007. "Independent bookselling is all about being the center of your community hosting events, book clubs and launch parties," said Neale. "Independent bookshops are essential as they discover new talent and are able to advise customers. This bespoke service rests on meeting and talking to our customers and not relying on algorithms to dictate what a customer likes. We also foster great relationships with authors. "The book trade has never been more competitive and price as well as the electronic book are obviously issues, but it is not all gloom and doom for Independent booksellers. In the right location and the passion to make yourself interesting and relevant then the future is as positive as it ever has been." Jaunted.com featured "three havens for bookish travelers," noting that London "is teeming with bookshops that celebrate all things erudite, stores that avid readers could easily get lost in for hours on end. If you count yourself among this group, then take note of the following three locales: nerd-tested (and we mean that in a good way), Jaunted-approved." "We think we're so modern. We think we're hot stuff, with our touch-screen tablets, video cellphones and Internet movie downloads. But mark my words: we're in the Paleozoic era of consumer technology.... This week, though, e-book readers just took their first slimy steps out of the primordial soup," wrote David Pogue in his New York Times tech review of the recently released Barnes & Noble All-New Nook and Kobo Touch Edition e-readers. Pogue concluded: "All of this is clear evidence that the clunky primitiveness of the Paleozoic e-book era is finally drawing to a close. At this rate, before you know it, e-book readers will arrive solidly in the Jurassic period. " The Guardian featured its recommendations for 10 of the best literary haunts in Barcelona: "Discover where Picasso supped and where to find inspiration over coffee or cocktails, with Barcelona writer Matthew Tree." What music would the narrator of Donna Tartt's bestselling novel The Secret History "fall in love, scheme, and find out the worst to"? In creating a literary mixtape for Richard Papen, Flavorwire thought he "would be into a little bit of sad-sack music, with a healthy spattering of the 'cool' bands, and some ominous, moody music for the late, fraught nights." 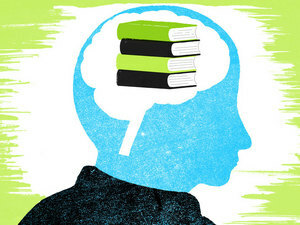 "Insane Science: 5 New Books That Explain the Brain" is a summer reading alternative offered by NPR's Michael Schaub, who observed: "When the sun finally comes out and the sweaters get tossed in the basement, we're all at least a little tempted to turn off our brains. Don't do it! Summer reading--in this case, summer reading about the science of the mind--can be a lot more fun than dodging volleyballs on a beach." Arrr! Justin Somper, author of the the Vampirates series, chose his top 10 pirate books for the Guardian. 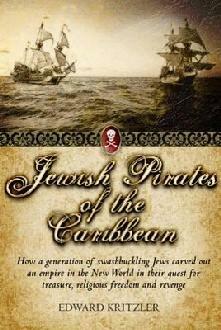 "There's a real blurring between fact and fiction in pirate literature," he wrote. "Some of the figures we (I) take to be archetypal pirates are in fact fiction, created by craftsmen like Daniel Defoe. But that's all part of the fun and it can be informative to contrast fictional archetypes like Blackbeard with their real-life counterparts--in this case Edward Teach." Book trailer of the day: Centuries of June by Keith Donohue (Crown), who shows how to deal with a book with a potentially offensive jacket--his own has a partially naked woman on it--so readers won't offend friends and neighbors. Beautiful/Decay, founded in 1996 as publisher of a small black-and-white 'zine and now a publisher of limited edition, hand-numbered art books. IPS will distribute the company's art book series worldwide. Dreamscape Media, which publishes digital and CD audio material. IPS will market and distribute Dreamscape's audio CDs to libraries and retailers. Where to Bike, a subsidiary of Bicycling Australia, which publishes cycling books and international cycling guides, including riding guides for cities in the U.S., U.K. and Australia. IPS aims to introduce the Where to Bike series to more riders around the world. Today on the O'Reilly Factor: Sebastian Junger, author of WAR (Twelve, $15.99, 9780446556224). He will also be on Tavis Smiley tomorrow. Tomorrow on the Today Show: Adam Mansbach, author of Go the F#@k to Sleep (Akashic Books, $14.95, 9781617750250). Also on Today: Stefanie Wilder-Taylor, author of I'm Kind of a Big Deal: And Other Delusions of Adequacy (Gallery, $15, 9781439176573). 11 p.m. A panel discussion about philosopher and economist F.A. Hayek’s The Constitution of Liberty: The Definitive Edition (University Of Chicago Press, $25, 9780226315393), which was first published in 1960. Panelists include Bruce Caldwell, Richard Epstein and George Soros. 8:30 p.m. From BookExpo America, an interview with Jorge Castaneda, author of Manana Forever? : Mexico and the Mexicans (Knopf, $27.95, 9780375404245). 10 p.m. Paul Allen talks about his book Idea Man: A Memoir by the Co-Founder of Microsoft (Portfolio, $27.95, 9781591843825). Warner Bros. released a video snippet from the archives, featuring Daniel Radcliffe, Emma Watson and Rupert Grint screen testing for their roles in Harry Potter and the Sorcerer's Stone. Wired noted that Radcliffe "looks like he's barely out of diapers" in the clip, which also includes a preview of "the showdown between boy wizard Harry and nose-less villain Lord Voldemort (played by Ralph Fiennes) in the all-out battle that will cap next month's Harry Potter finale." Edward Zwick will direct CBS Films’ adaptation of Vince Flynn’s bestseller American Assassin, the Hollywood Reporter wrote. Zwick and Marshall Herskovitz will write the screenplay. "The Mitch Rapp novels are as thrilling and entertaining as they are relevant,” Zwick said in a statement, “and I am delighted to be given the opportunity to translate them to the screen." The Hollywood Reporter added that CBS Films "controls the rights to the entire series as well as any new sequels and spinoffs." 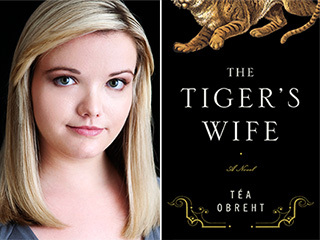 Téa Obreht's debut novel, The Tiger's Wife, was the surprise winner of this year's £30,000 (US$49,188) Orange Prize for Fiction. At 25, Obreht is the youngest winner in the award's 16-year history. Her victory "meant defeat for better established writers Emma Donoghue--the bookies' favorite for the bestselling Room--and Nicole Krauss for Great House. Many had also fancied the chances of Aminatta Forna for her rich and engrossing The Memory of Love," the Guardian reported. The other shortlisted novels were Kathleen Winter's Annabel and Emma Henderson's Grace Williams Says It Loud. The judges praised The Tiger's Wife as evidence of a "truly exciting" new literary talent. "It is a very brave book," said Bettany Hughes, chair of the judging panel. "We were looking for a book that had some kind of alchemy, that changed us as readers and changed the way we thought about the world and The Tiger's Wife certainly does that. It is a very special book." Hughes called the final decision, which was not unanimous, a difficult one, with a Tuesday-night judging panel session lasting more than four hours. Niccolò Machiavelli (1469-1527) was labeled "the finger of Satan" by a prominent Cardinal in 1539 and his work was placed, as one of the first, on the Papal Index of Prohibited Books in 1559. Achieving such notoriety is no mean feat, and Miles Unger chronicles the twists and turns of Machiavelli's life with the same flair that he brought to Magnifico: The Brilliant Life and Violent Times of Lorenzo de' Medici. As Machiavelli treads his path--humble beginnings in Florence; crucial years in the bureaucracy of the city's government; emergence as author of The Prince; posthumous vilification by the Church--we feel we are back in Renaissance Florence amid all its intrigue and tumult. As Florence's Second Chancellor, Machiavelli observed the way his city, its allies and its enemies operated in crisis after crisis. The abstract principles of statecraft espoused by philosophers like Socrates, Plato and Aristotle played little part in the pitched battles between competing groups and individuals that he saw. That experience formed the basis of his pragmatic view of the way a real-world state survives and prospers; the evidence inspired him to develop his revolutionary profile of a great leader. He was candid to a fault when he wrote The Prince, sharing everything he had learned with the Medici coming in to govern Florence, with the hope that they would be grateful and offer him a new job. The Medici dismissed him as a nuisance and, as Unger wittily remarks, The Prince has achieved fame as perhaps the most unsuccessful job application of genius of all time. 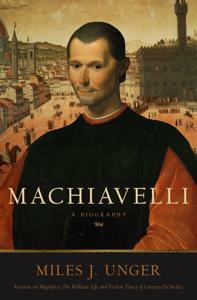 Shelf Talker: A highly engaging, authoritative biography of Machiavelli, who rose to become a world-famous author, founder of modern political science and vilified by the Catholic Church as the finger of Satan--not bad for an underpaid government clerk in Renaissance Florence. though it is perhaps an apt metaphor. to lay out moral dilemmas for young people to ponder. by Megan Cox Gurdon: "Darkness Too Visible." are now spelled out in stomach-clenching detail." and then, possibly, unwittingly contribute to his death. was infected with the virus. how you could catch "gay cancer"
as it was then called, just from eating off the same dish. Voted on by teens themselves. feel more comfortable in his own skin. again, voted on by teens. 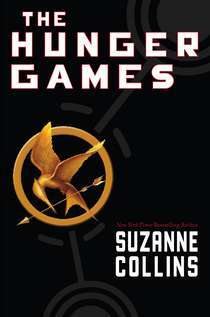 Yes, The Hunger Games are violent. and thinking about the Coliseum of gladiator days. (forgive the pun) sink their teeth into. What would they do if they were Katniss? Would they sacrifice themselves for a sibling? With the gift of a loaf of bread? These are the questions Katniss asks herself. and ask themselves these questions. Teens don't purge or cut because of a book they read. If they are looking for triggers, they will find triggers. that there are other people like them. the books they're not ready for or simply don't like. and boys will read The Hunger Games. Teens are not other; they are us. and Vampire Diaries one after another. or they could care less. like Sarah Dessen and Maureen Johnson. and Libba Bray's Beauty Queens. Holly Black's White Cat series. Lauren Oliver's Before I Fall. or a public library branch near her. or the book review section of her paper has been omitted. That is the darkness too visible in this tale. 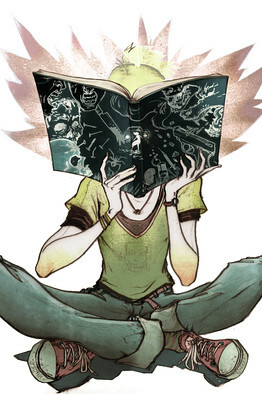 What kinds of books does your 13-year-old like to read? Who is his or her favorite author? since the Brothers Grimm and Romeo and Juliet. I trust them to set aside the books they don't like. What we need are better ways to reach them.